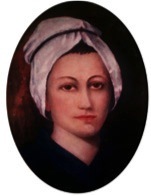 In 1775, Nano Nagle and three similarly inspired women founded a religious community in Cork in Ireland, to continue Nano’s work in education and outreach. The community later became known as the Sisters of the Presentation of the Blessed Virgin Mary (pbvm). Nano had earlier established secret schools for poor children in Cork, at a time in Ireland when access to Catholic education and employment was limited by the penal laws. Her hope was that education would enable the children to engage more fully with life. In addition to her schools, Nano visited the sick and elderly in their homes, often by lantern light, offering loving, practical care and comfort. This was a unique and dangerous thing to do. From these small beginnings, Nano’s Presentation Sisters established schools and transformative, inclusive communities across Ireland and around the world. The first Presentation Sisters in Australia arrived at Richmond, Tasmania in 1866. Responding to a cry for help in staffing schools that came from “the ends of the earth”, Presentation Sisters arrived in Victoria from Limerick in Ireland in 1873. Another group of Presentation Sisters arrived in Victoria in 1883, having first travelled from Kildare, Ireland to Wagga Wagga NSW in 1874. The Presentation Sisters soon established and supported primary and secondary schools across Melbourne and country Victoria, responding to needs as they emerged. Later, they moved into the wider community continually finding new ways of empowering people to live more fully, and to find happiness and hope midst the challenges of everyday life. …to encounter God in the heart of the world and to continue the mission of Jesus in the spirit of our founder Nano Nagle. Like Nano we are called to keep our hearts open to the cry of Earth and the cry of those living in poverty, voices which challenge us to conversion and action both personally and communally.